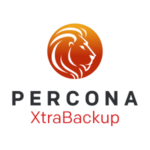 Percona announces the GA release of Percona XtraBackup 2.4.7-2 on May 29, 2017. You can download it from our download site and apt and yum repositories. Fixed build failure on Debian 9.0 (Stretch). Bug fixed #1678947. 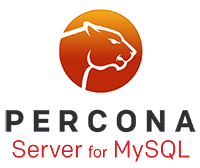 Release notes with all the bugfixes for Percona XtraBackup 2.4.7-2 are available in our online documentation. Please report any bugs to the launchpad bug tracker. Percona announces the release of Percona XtraBackup 2.3.8 on April 18, 2017. Downloads are available from our download site or Percona Software Repositories. Percona XtraBackup now uses hardware accelerated implementation of crc32 where it is supported. Percona XtraBackup has implemented new options: --tables-exclude and --databases-exclude that work similar to --tables and --databases options, but exclude given names/paths from backup. The xbstream binary now supports parallel extraction with the --parallel option. The xbstream binary now supports following new options: --decrypt, --encrypt-threads, --encrypt-key, and --encrypt-key-file. When --decrypt option is specified xbstream will automatically decrypt encrypted files when extracting input stream. Either --encrypt-key or --encrypt-key-file options must be specified to provide encryption key, but not both. Option --encrypt-threads specifies the number of worker threads doing the encryption, default is 1.
xtrabackup would not create fresh InnoDB redo logs when preparing incremental backup. Bug fixed #1669592.
xtrabackup --export can now export tables that have more than 31 index. Bug fixed #1089681. Unrecognized character x01; marked by message could be seen if backups were taken with the version check enabled. Bug fixed #1651978. Release notes with all the bugfixes for Percona XtraBackup 2.3.8 are available in our online documentation. Bugs can be reported on the launchpad bug tracker. Percona XtraBackup implemented a new --remove-original option that can be used to remove the encrypted and compressed files once they’ve been decrypted/decompressed. XtraBackup was using username set for the server in a configuration file even if a different user was defined in the user’s configuration file. Bug fixed #1551706. Incremental backups did not include xtrabackup_binlog_info and xtrabackup_galera_info files. Bug fixed #1643803. In case a warning was written to stout instead of stderr during the streaming backup, it could cause assertion in the xbstream. Bug fixed #1647340.
xtrabackup --move-back option did not always restore out-of-datadir tablespaces to their original directories. Bug fixed #1648322.
innobackupex and xtrabackup scripts were showing the password in the ps output when it was passed as a command line argument. Bug fixed #907280. Incremental backup would fail with a path like ~/backup/inc_1 because xtrabackup didn’t properly expand tilde. Bug fixed #1642826. Fixed missing dependency check for Perl Digest::MD5 in rpm packages. This will now require perl-MD5 package to be installed from EPEL repositories on CentOS 5 and CentOS 6 (along with libev). Bug fixed #1644018. Percona XtraBackup now supports -H, -h, -u and -p shortcuts for --hostname, --datadir, --user and --password respectively. Bugs fixed #1655438 and #1652044. Release notes with all the bugfixes for Percona XtraBackup 2.4.6 are available in our online documentation. Please report any bugs to the launchpad bug tracker. Percona announces the release of Percona XtraBackup 2.3.7 on February 22, 2017. Downloads are available from our download site or Percona Software Repositories. Percona XtraBackup has implemented a new --remove-original option that can be used to remove the encrypted and compressed files once they’ve been decrypted/decompressed. Percona XtraBackup would fail to compile with -DWITH_DEBUG and -DWITH_SSL=system options. Bug fixed #1647551. Release notes with all the bugfixes for Percona XtraBackup 2.3.7 are available in our online documentation. Bugs can be reported on the launchpad bug tracker. Percona XtraBackup now supports SHA256 passwords. Using the SHA256 algorithm requires either SSL encrypted connection, or using public key encryption for password exchange which is only available when both client and server are linked with OpenSSL. Percona XtraBackup now supports Command Options for Secure Connections. NOTE: Due to xbcrypt format changes, backups encrypted with this Percona XtraBackup version will not be recoverable by older versions. Fixed intermittent assertion failures that were happening when Percona XtraBackup couldn’t correctly identify server version. Bug fixed #1568009. 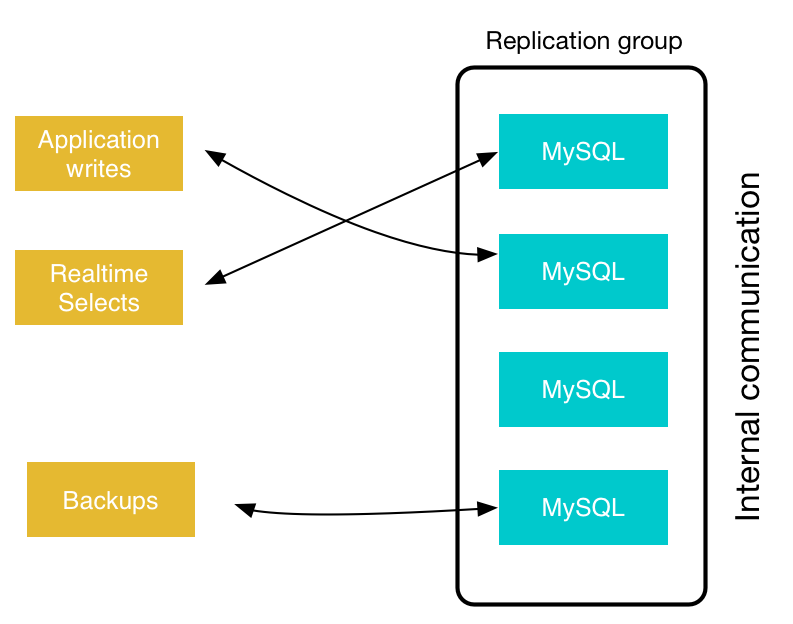 Safe slave backup algorithm performed too short delays between retries which could cause backups to fail on a busy servers. Bug fixed #1624473. Fixed new compilation warnings with GCC 6. Bug fixed #1641612.
xbcrypt was not setting the Initialization Vector (IV) correctly (and thus is was not using an IV). This was causing the same ciphertext to be generated across different runs (for the same message/same key). The IV provides the extra randomness to ensure that the same ciphertext is not generated across runs. Bug fixed #1643949. Backup would still succeed even if XtraBackup would fail to write the metadata. Bug fixed #1623210.
xbcloud now supports EMC ECS Swift API Authorization requests. Bugs fixed #1638017 and #1638020 (Txomin Barturen). Percona XtraBackup would fail to backup MariaDB 10.2 with the unsupported server version error message. Bug fixed #1602842. Other bugs fixed: #1639764 and #1639767. Release notes with all the bugfixes for Percona XtraBackup 2.3.6 are available in our online documentation. Bugs can be reported on the launchpad bug tracker. starts a streaming Xtrabackup and pipes the output of that via socat to the Joiner on port 4444. Moves to the ‘Synced’ state and is done. There are a lot of moving pieces here, and nothing is really tuned by default. On larger clusters, SST can be quite scary because it may take hours or even days. Any failure can mean starting over again from the start. This blog will concentrate on some ways to make a good dent in the time SST can take. Many of these methods are trade-offs and may not apply to your situations. Further, there may be other ways I haven’t thought of to speed things up, please share what you’ve found that works! I am testing SST on a PXC 5.6.24 cluster in AWS. The nodes are c3.4xlarge and the datadirs are RAID-0 over the two ephemeral SSD drives in that instance type. These instances are all in the same region. 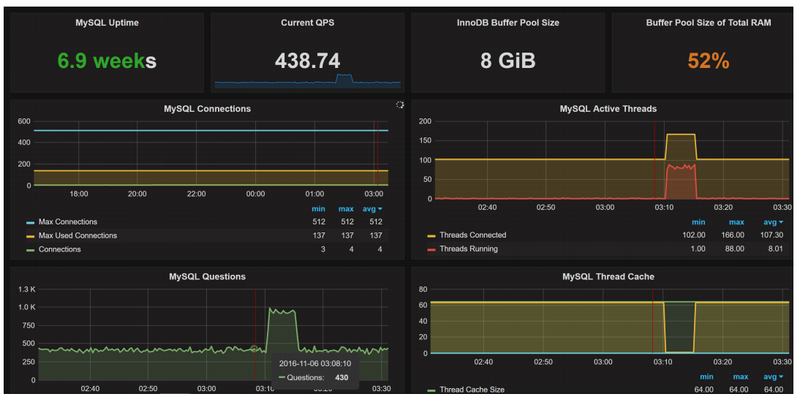 My simulated application is using only node1 in the cluster and is sysbench OLTP with 200 tables with 1M rows each. This comes out to just under 50G of data. The test application runs on a separate server with 32 threads. Doing some math on the above, we find that the SST took 51 minutes to complete. The [sst] section is a special one understood only by the xtrabackup-v2 script. inno-apply-opts allows me to specify arguments to innobackupex when it runs. Note that this change only applies to the Joiner (i.e., you don’t have to put it on all your nodes and restart them to take advantage of it). This change immediately makes a huge improvement to our above scenario (node2 joining node1 under load) and the SST now takes just over 30 minutes. xtrabackup-v2 supports adding a compression process into the datastream. On the Donor it compresses and on the Joiner it decompresses. This allows you to trade CPU for transfer speed. If your bottleneck turns out to be network transport and you have spare CPU, this can help a lot. Both the Joiner and the Donor must have the respective decompressor and compressor settings or the SST will fail with a vague error message (not actually having pigz installed will do the same thing). By adding compression, my SST is down to 21 minutes, but there’s a catch. My application performance starts to take a serious nose-dive during this test. 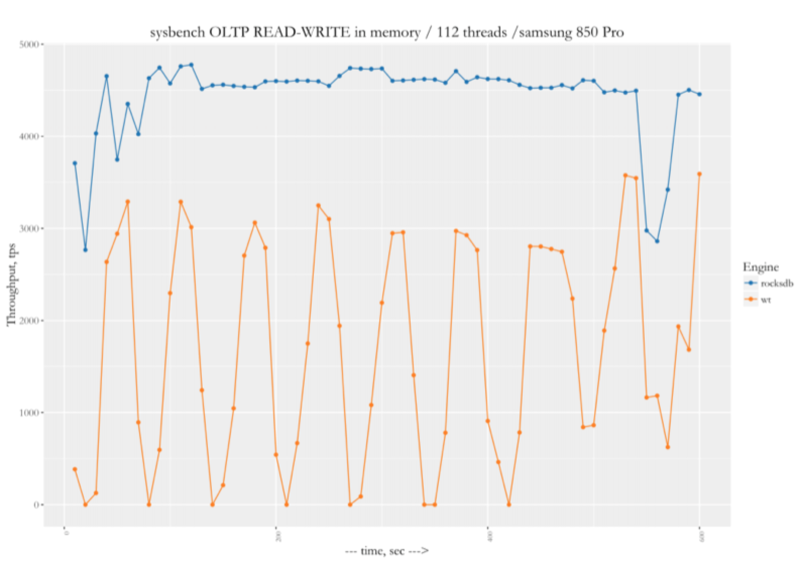 Pigz is consuming most of the CPU on my Donor, which is also my primary application node. This may or may not hurt your application workload in the same way, but this emphasizes the importance of understanding (and measuring) the performance impact of SST has on your Donor nodes. When node3 starts, this setting instructs the cluster that node3 is the preferred donor, but if that’s not available, pick something else (that’s what the trailing comma means). Donor nodes are permitted to fall behind in replication apply as needed without sending flow control. Sending application traffic to such a node may see an increase in the amount of stale data as well as certification failures for writes (not to mention the performance issues we saw above with node1). Since node2 is not getting application traffic, moving into the Donor state and doing an expensive SST with pigz compression should be relatively safe for the rest of the cluster (in this case, node1). 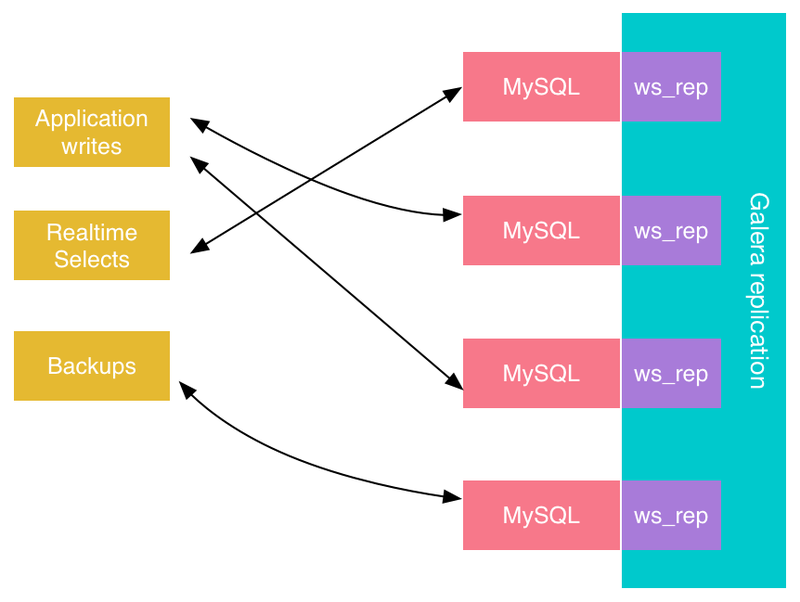 Even if you don’t have a dedicated donor, if you use a load balancer of some kind in front of your cluster, you may elect to consider Donor nodes as failing their health checks so application traffic is diverted during any state transfer. Each of these tunings helped the SST speed, though the later adjustments maybe had less of a direct impact. Depending on your workload, database size, network and CPU available, your mileage may of course vary. Your tunings should vary accordingly, but also realize you may actually want to limit (and not increase) the speed of state transfers in some cases to avoid other problems. For example, I’ve seen several clusters get unstable during SST and the only explanation for this is the amount of network bandwidth consumed by the state transfer preventing the actual Galera communication between the nodes. Be sure to consider the overall state of production when tuning your SSTs. 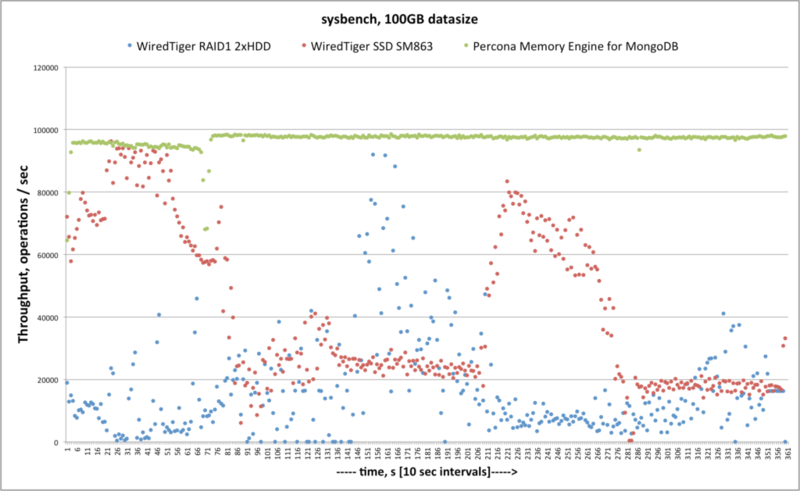 The post Optimizing PXC Xtrabackup State Snapshot Transfer appeared first on MySQL Performance Blog.